Garden Bright fluorescent reflector from Sunlight Supply. 8 ft 120 volt power cord. Completely assembled. Fixture dimensions: 19.75 in long x 12.25 in wide x 7.5 in tall. 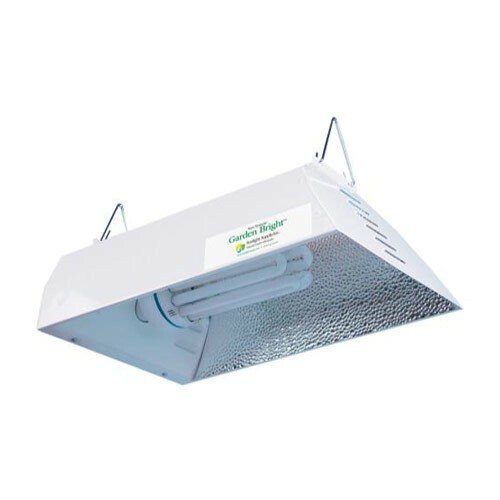 Accommodates Feliz self-ballasted compact fluorescent lamps 125 & 200 watts.